Everybody loves a warm, flavourful stew. This paella-inspired dish uses fresh fish and colourful veggies and is well worth the wait. • Add 3 bay leaves, 1 large bunch fresh thyme, 1 small bunch parsley, stalks included, chopped fine and cook together for 1 minute, then stir. 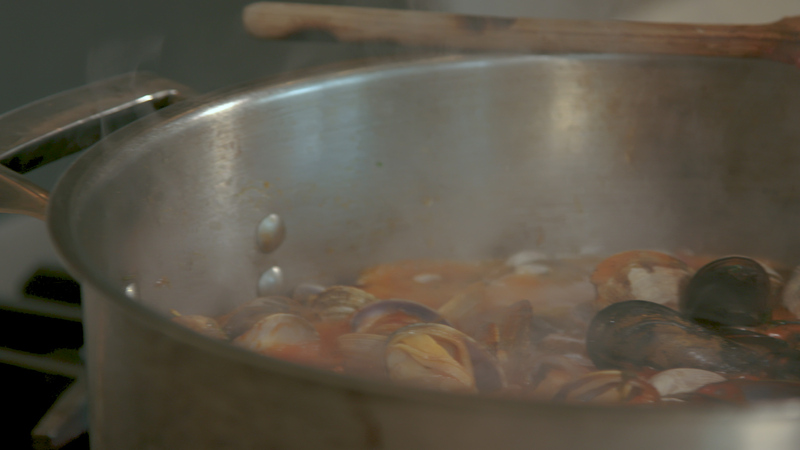 • Continue to cook until the shellfish have opened, and the rockfish has cooked, about 5-8 minutes. • Note: This will yield more stock than you need. Don’t try to make a small amount of stock – with your extra stock you can make soup, freeze it for later use, give it to your neighbour.